Avangard Innovative to produce recycled LDPE pellets | MSS, Inc.
Company invests $10 million to produce 48 million pounds of recycled LDPE pellets annually. 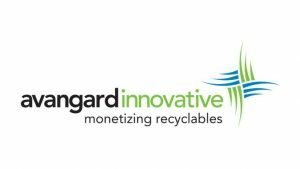 Houston-based Avangard Innovative (AI) says it is investing $10 million to build a new state-of-the-art manufacturing facility that will convert low-density polyethylene (LDPE) film packaging scrap into high-quality postconsumer resin (PCR) to be used in in film production. AI says it manages approximately 100 million pounds of PE film scrap annually from the retail sector and from other generators of PE film packaging scrap throughout the Americas. Vertically integrating allows AI to close the loop by supplying PCR PE for use in the production of new film. The company says it has researched the various generating streams in the market and has designated specific streams that will produce PCR that can meet the critical properties needed for film applications. Strategic partnerships and new technological advancements guarantee the highest quality PCR in the market place today, AI says. The company’s new LDPE PCR processing plant boasts an upfront processing system that includes the latest technology in extrusion, filtration and odor reduction. The plant will use MSS optical sorting technology with the film being processed using two Starlinger recoSTAR dynamic 165 C-VAC extruders. The plant will generate approximately 30 jobs and will operate 24 hours per day, seven days per week. AI says phase one production is targeted to begin August 2017. The plant will be fully operational by October 2017, with a total capacity of 48 million pounds annually.